Plutonium is a clean and minimal Magazine Theme, it is perfect for personal blogging its main features are a post with a gallery sliders attached to it, Posts with video and as well as Audio/Music player so you can share your favorite music. 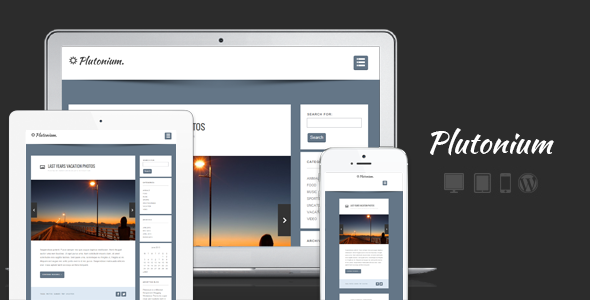 Perfect for your Mobile and Tablet Readers as this theme is enhanced to support responsive views. it has 7 different color schemes and a cool navigation style.